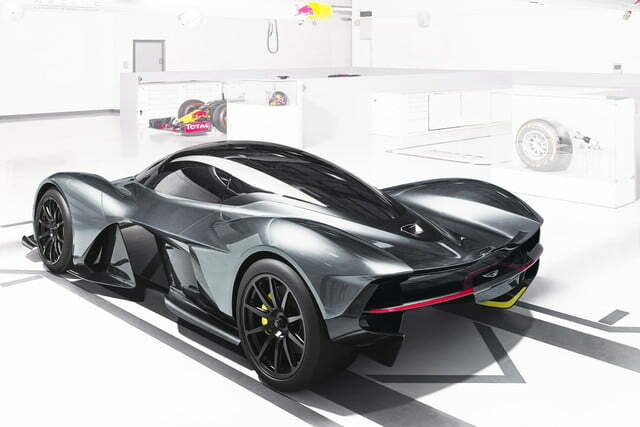 Aston Martin and Red Bull Racing promised that their jointly developed AM-RB 001 supercar would be like nothing else on the road, and the first renderings of the car show they weren’t kidding. The AM-RB 001 looks about as radical as a car developed by a Formula One team and an iconic automaker should. 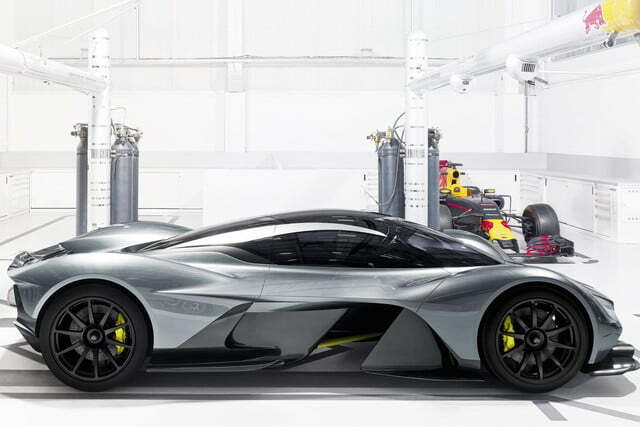 Granted, the AM-RB 001 isn’t the prettiest car around. That’s because it was designed to emphasize function over form. The body will provide “unprecedented” levels of downforce for a road car, Aston promises. The carmaker and Red Bull plan to build both road-going and track-only versions; the road car is pictured here. With the track car, Aston says it is aiming for performance rivaling today’s LMP1 Le Mans prototypes, some of the fastest race cars around. 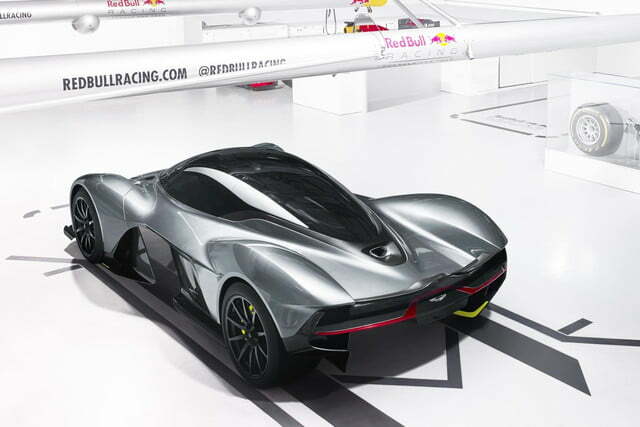 With its tall front fenders and bubble-shaped cockpit, the AM-RB 001 actually does resemble an LMP1 car. All of that bodywork sits on a carbon fiber chassis designed specifically for this mid-engined supercar. The car also uses extensive underfloor aerodynamics to generate much of its downforce. 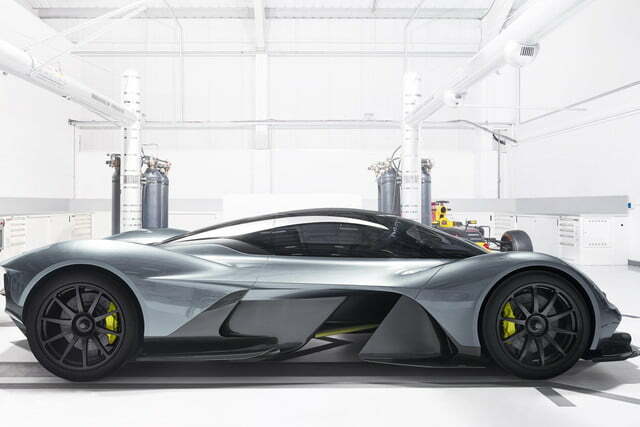 Aston says the AM-RB 001 is a “bespoke machine from the tires up,” and that includes its engine. The mid-mounted V12 will be distinct from the 6.0-liter engine currently used in most Aston models, and the 5.2-liter twin-turbocharged unit introduced with the new DB11. Specifications aren’t available at the moment, but Aston claims a power-to-weight ratio of 1 metric horsepower per kilogram. 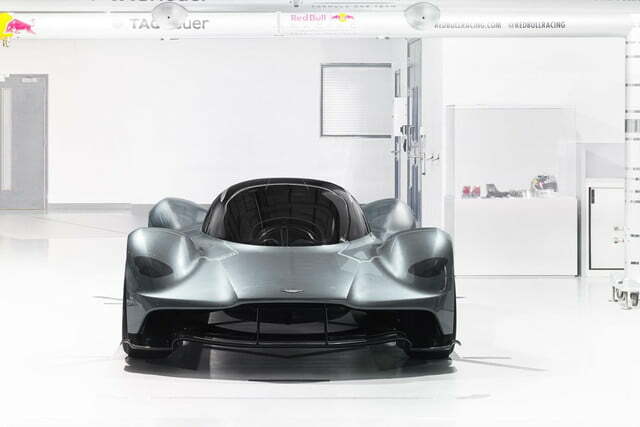 The transmission will be a “clean-sheet design” developed by Red Bull, according to Aston. The carmaker also promises very sophisticated suspension that can deal with intense amounts of downforce pressing the car into the road while still providing a comfortable ride. 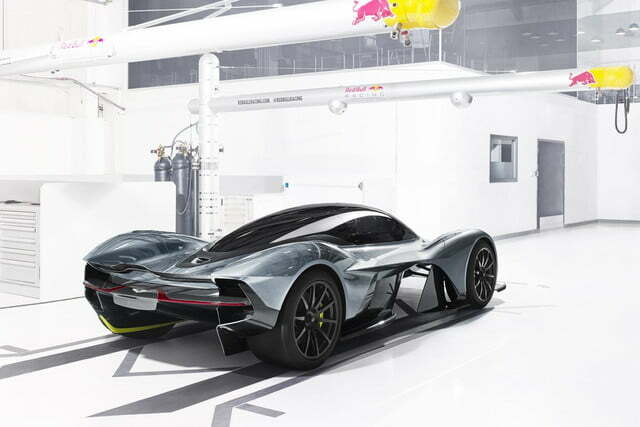 Aston insists that, despite its radical looks, the AM-RB 001 will be a usable road car offering a decently comfortable ride and a reasonable amount of interior space. 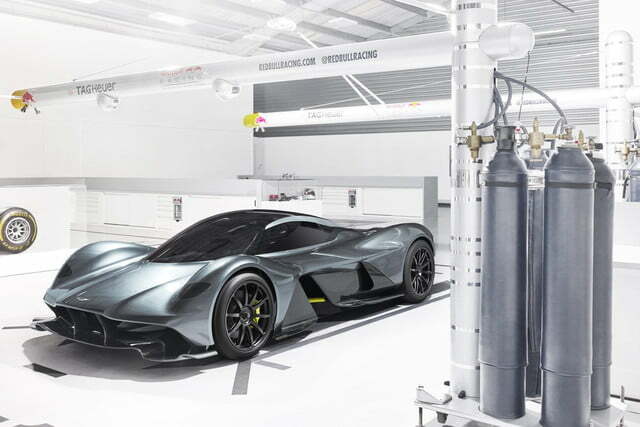 The AM-RB 001 will be built at the same special facility in Gaydon, England, that produced the Aston Martin One-77 supercar, with engineering work shared between Aston’s Q personalization division and Red Bull Advanced Technologies. Between 99 and 150 road cars will be built (including prototypes), plus an additional 25 track cars. Deliveries will start in 2018.